Alfred Stromberg was one of the early Pioneers in telephony. Beginning his careers with L.M. Ericsson in Sweden, in 1876, he helped test the first pair of telephone instruments Bell sent to Stockholm and then was in charge of construction and installation throughout Sweden and Denmark. In 1884, Stromberg came to the United States and worked with Bell in Pennsylvania and Illinois, where he was credited with a number of inventions. He then worked briefly with the Chicago Electric Protection Company and devised what became known as the “Stromberg System” of burglar alarms. 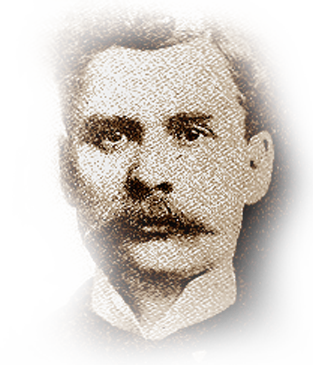 In 1894, Stromberg returned to telephony and worked with Western Telephone Construction Company in Chicago, one of the first independent manufacturers, where he met Androv Carlson. They both thought they could make a better telephone instrument, so they pooled their money, $500 each, and started Stromberg-Carlson Telephone Manufacturing Company. Alfred Stromberg was the first president of the company based upon the inventions and practical ideas of the partners. Their fame as a quality manufacturer soon spread and in 1902, the operation moved to Rochester, New York. Stromberg was an outstanding inventor and business executive of telephone manufacturing. He died in 1913.